The high performance luminaire is designed for applications where long life, low maintenance, and consistent color rendering is required. 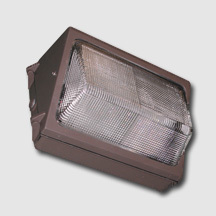 Areas with limited accessibility due to fixture location or where heavy pedestrian traffic makes maintenance difficult are ideal applications such as building facade lighted or wall mounted security lighting. The traditional design style of the luminaire allows it to be seemlessly integrated into existing systems when necessary. Made with a state of the art UV stabilized acrylic high performance refractive optical assemblies that use high transmicity materials to achieve precise photometric distributions. Built-in template with ½” threaded NPT knockouts provided standard.